A classic English ale with a hint of citrus. At 3.8% suitable for all day drinking, especially at a summer BBQ. Is this the perfect session beer? The bylaws clearly state that a full evenings drinking is required before the Harper’s Arms rating can be issued. 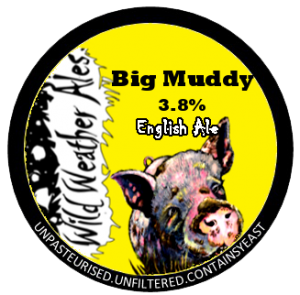 Whilst this beer was not sampled at a scheduled Harper’s Arms tasting event, I can confirm that The Regulars did enjoy a full evenings drinking of Big Muddy, it just happened to follow a full afternoons drinking!